The J. 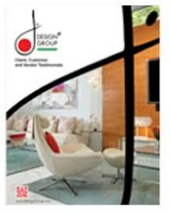 Design Group is your premier Miami interior design firm. With years of extensive industry experience, we have the tools and expertise to beautify any home or office. This includes captivating and compelling interiors, along with home fixtures that correlate with any new or existing décor. Whether for new homes or offices, our extensive showroom gallery features the latest in lighting systems. We also carry a fine line of wall mounts, wallpaper, cabinetry designs and much more. Our highly-dedicated designers bring over 26 years of experience to the table. This ensures high-end interior design services, along with superb decorations for commercial and residential outfits. At J. Design Group, we stay abreast of all the latest interior design trends and developments. We also continue to service the needs of home and business owners across the USA and other countries. With true ingenuity and imagination, we can truly turn your home or business design dreams into realities. With a diverse range of projects, we have – and continue to provide exception design services for hotels, restaurants, and financial institutions. Our services are also available for corporate offices, residences, and practically any venue that needs affordable design enhancements and overhauls. From cabinetry and countertops to sinks and lighting, we are proud to offer the best design services across South Florida. This includes Fisher Island, Bal Harbor, Aventura, Key Biscayne and adjacent communities. Our designers even offer mobile services to different states across the country and the world. One phone call or e-mail is all you need to schedule a complimentary design assessment and consultation today. Lavish and elegant chandeliers that illuminate dining and foyer areas. These sparkling units can also be mounted on ceilings over formal living rooms and other areas. Bookshelves that are attached to walls in dens, as well as reading, social and media rooms in your home. Wall mounts that hold LED TVs, along with mounted speakers. Brackets that hold curtain rods throughout your property. Kitchen islands that are fixed and mounted to the floor. Lighting mounts, wallpaper, accents and more. Whether planning on selling or staying in your home for a while, you need the right fixtures to accentuate your décor. We can help you find the best components that easily blend in with your existing designs and styles. Our professional designers specialize in both modern and traditional fixtures, and always go above and beyond to ensure proper installations and correlation. As your Miami interior design firm, we are committed to excellence in beautifying any residential or commercial property. In fact, our services are reflected in countless property design projects across the USA and world. Interior design requires an experienced, reputable and seasoned company on your side. At J. Design Group, we take a multi-faceted approach to achieving your design goals. This includes assessing your property’s existing décor while offering timely tips and solutions on how to spruce them up. It can be as simple as adding some curtains or drapery – or as extensive as a complete home or business design enhancements. No matter what you need, no design project is ever too big or small. We are also fully certified and insured to get the job done right the first time. For more information on home fixtures and designs, simply contact or visit our website.